This year is all about the Corsairs...we've gone Corsair Crazy and are brining you the world's largest gathering of Corsairs! Ever....Read more. This year is all about the Corsairs...we've gone Corsair Crazy and are brining you the world's largest gathering of Corsairs! Ever. 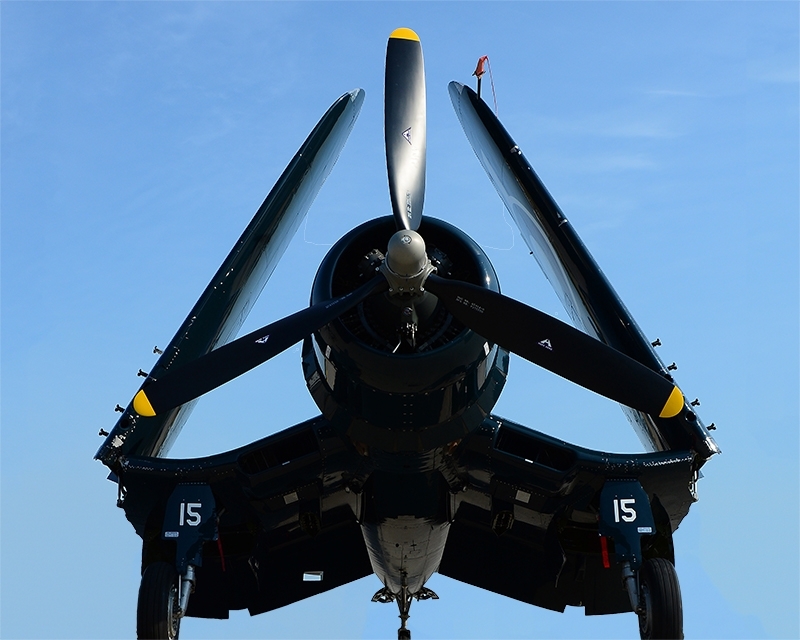 Make history with us and experience the largest gathering of Corsairs since active duty in World War II! Michael Goulian is a multi-disciplined aerial demonstration pilot. Beginning his career in the competitive world of aerobatics, Goulian earned the distinction of becoming one of the youngest pilots to ever win the United States Unlimited Aerobatic Championship at the age of 27. His signature air show performance combines the heart-stopping gyroscopic tumbling of modern display flying with the crisp, aggressive, demands of precision competition aerobatics....Read more. Michael Goulian is a multi-disciplined aerial demonstration pilot. 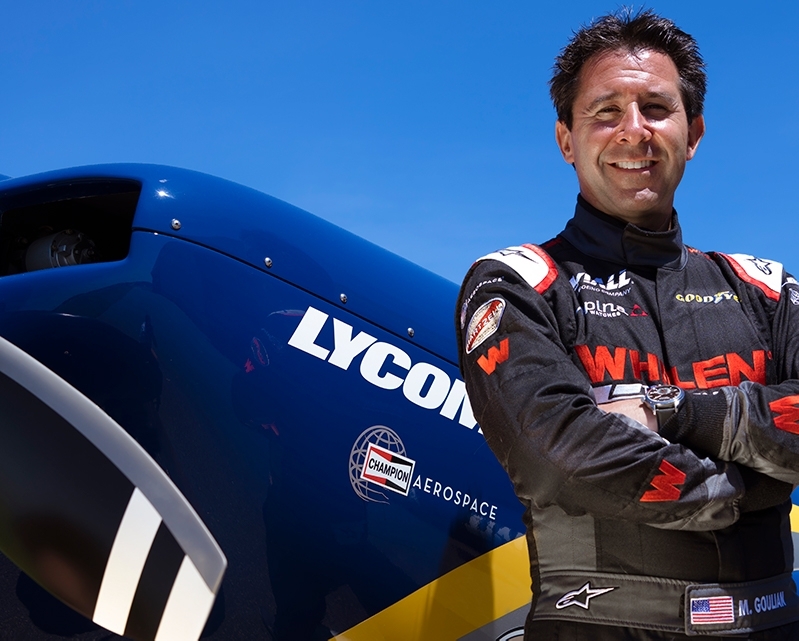 Beginning his career in the competitive world of aerobatics, Goulian earned the distinction of becoming one of the youngest pilots to ever win the United States Unlimited Aerobatic Championship at the age of 27. His signature air show performance combines the heart-stopping gyroscopic tumbling of modern display flying with the crisp, aggressive, demands of precision competition aerobatics. 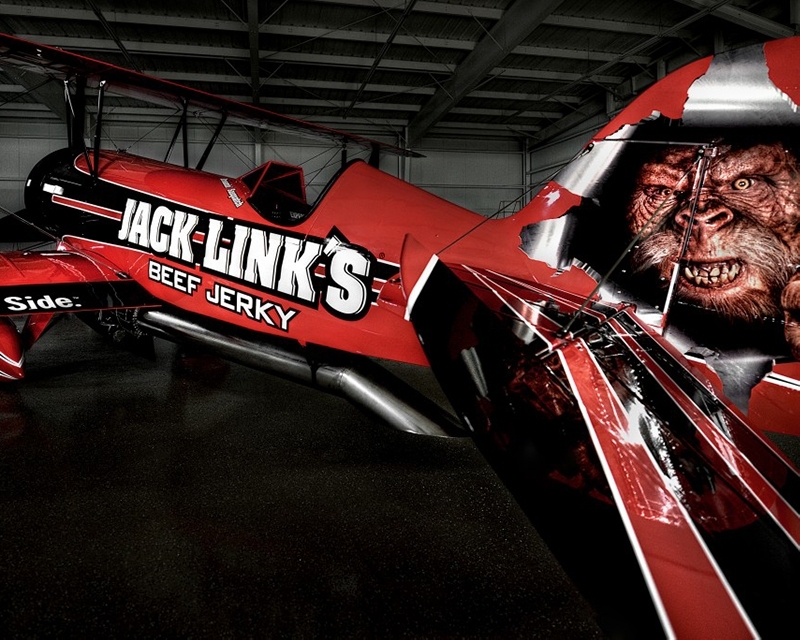 John Klatt Airshows and Jack Link’s Beef Jerky teamed up to create a one of a kind plane, the Screamin Sasquatch., which is powered by two different engines. The plane style is a Jet Waco, first introduced by Jimmy Franklin in 1999....Read more. John Klatt Airshows and Jack Link’s Beef Jerky teamed up to create a one of a kind plane, the Screamin Sasquatch., which is powered by two different engines. The plane style is a Jet Waco, first introduced by Jimmy Franklin in 1999. Now, the Screamin’ Sasquatch is one of a kind on the air show circuit. This airplane was a classic 1929 Taperwing, which was the plane of choice for barnstorms in the 1930’s and 1940’s. The air show industry is starved for this type of excitement, and with the partnership with Jack Link’s, the Screamin’ Sasquatch will help all those attending air shows this year Feed their Wild Side. Every control surface has been specifically engineered for the unique aerodynamic forces encountered during high-speed flight. Portions of the aircraft’s structure have been converted from wood and fabric, to carbon fiber. The cockpit has been moved 3 feet aft, in order to accommodate fuel tanks for both 100LL and Jet A fuel. The cockpit is extremely modern and incorporates the MGL Avionics Stratomaster Odyssey touch screen system, which integrates all of the engine monitoring of both powerplants and the aircraft’s avionics systems – essentially combining a couple of dozen gauges into one screen. The Air Combat Command F-16 Viper Demonstration Team performs precision aerial maneuvers to demonstrate the unique capabilities by one of the Air Force's premier multi-role fighters, the F-16 Fighting Falcon. The team also flies in Air Force Heritage Flight formations, exhibiting the professional qualities the Air Force develops in the people who fly, maintain and support these aircraft....Read more. The Air Combat Command F-16 Viper Demonstration Team performs precision aerial maneuvers to demonstrate the unique capabilities by one of the Air Force's premier multi-role fighters, the F-16 Fighting Falcon. The team also flies in Air Force Heritage Flight formations, exhibiting the professional qualities the Air Force develops in the people who fly, maintain and support these aircraft. MSgt Chris Schneider (F-16 Team Superintendent) and Maj John "Rain" Waters (F-16 Commander) perform in the team's F-16CM Fighting Falcon. Affectionately known as the 'Viper," this single-seat, multi-role fighter has the ability to switch from an air-to-ground to air-to-air role at the touch of a button. 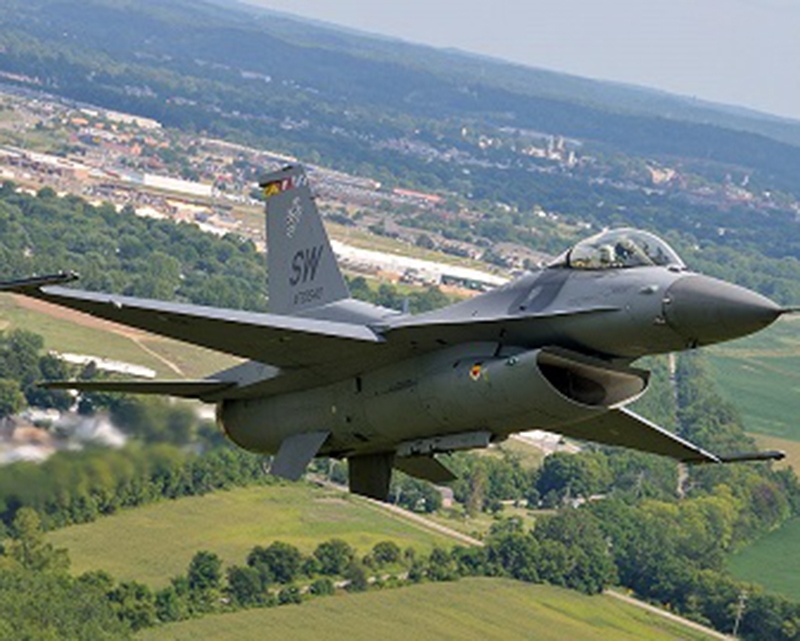 With its lightweight airframe and powerful General Electric engine generating 31,000 pounds of thrust, the F-16 can fly at speeds in excess of Mach 2.